We are increasingly seeing fashion brands edging into the wearable technology market and tech companies edging from wearables into the fashion market. Today here is further evidence of the former with Tommy Hilfiger’s launch of two designs of solar powered jacket – for him and for her. 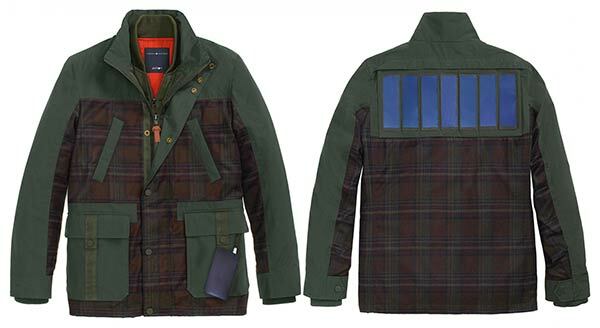 Now what would a solar powered jacket do? 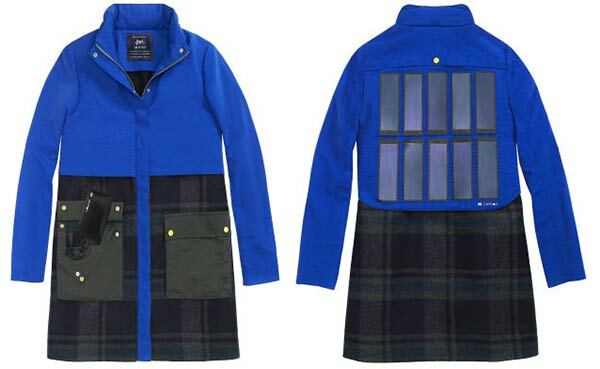 Of course jackets don’t need electricity and this one doesn’t either, it generates electricity for your portable devices using built-in solar panels and rechargeable battery packs. Being a Hilfiger design it seeks too this solar powering task in a stylish, sporty and comfortable way. Whether it achieves the stylish criteria I shall leave up to the your judgement. As above you can see that you would be able to recharge a typical 2,000mAh smartphone three times with the jacket as fully charged. While out and about in the daytime you can of course have your jacket recharged by the sunlight. Tommy Hilfiger thoughtfully puts a charging cable end in the pockets of the jacket. In a road test of the Jacket Forbes Magazine’s Rachel Arthur concluded that the jacket is “stylish while simultaneously offering a solution that is inherently useful to the individual wearing it”. However she added that “it’s a ways off yet in terms of being something to be worn everyday”. These his ‘n’ hers solar powered jackets are available now in select Tommy Hilfiger stores in the US with 50% of the revenue going to the Fresh Air Fund charity helping low-income children to enjoy summer camp experiences.